Every mail is email, i.e. Gmail is email too! SEP 06 - Sometimes you have heard about email and Gmail. But many people can’t find the difference between them. Especially those who initially use the internet don’t know the difference between them. What is the difference between email and Gmail? We tell you. 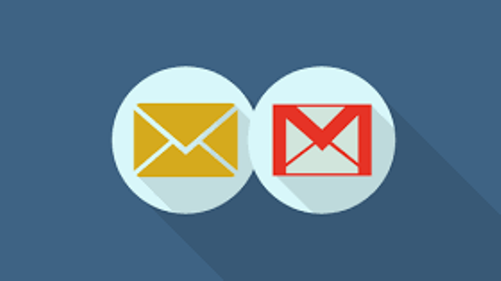 Email - The full name of the email is 'electronic mail'. Email information is a process of exchange. By the way, through a letter, a message is transmitted from one place to the other, in the same way; an email is delivered from one electronic location to another through the Internet. Gmail - The full name of Gmail is 'Google Mail'. In the same way we choose courier service or post office to send the letter from one place to another, in the same way we use an email service to send emails. Gmail is an email service that works on the Internet. This is Google's email service. Gmail, which provides email service on the Internet, is not the only service. In addition to Gmail, Yahoo Mail, Hotmail and Rediffmail are many email services that provide email service.